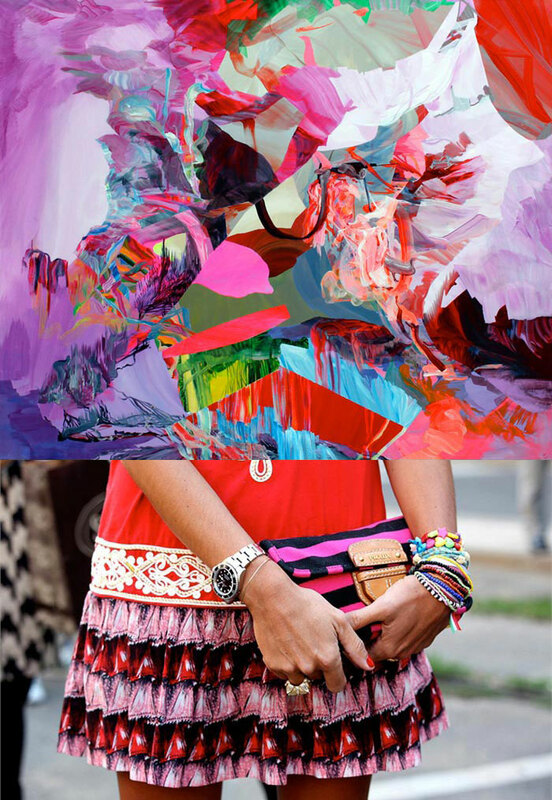 Inspired by the colours in the works of one of my favourite Abstract artists Melanie Authier, I've collected some fun pics from SS12 street style featuring graphic detailing to create a tasty visual extravaganza...mmmm. 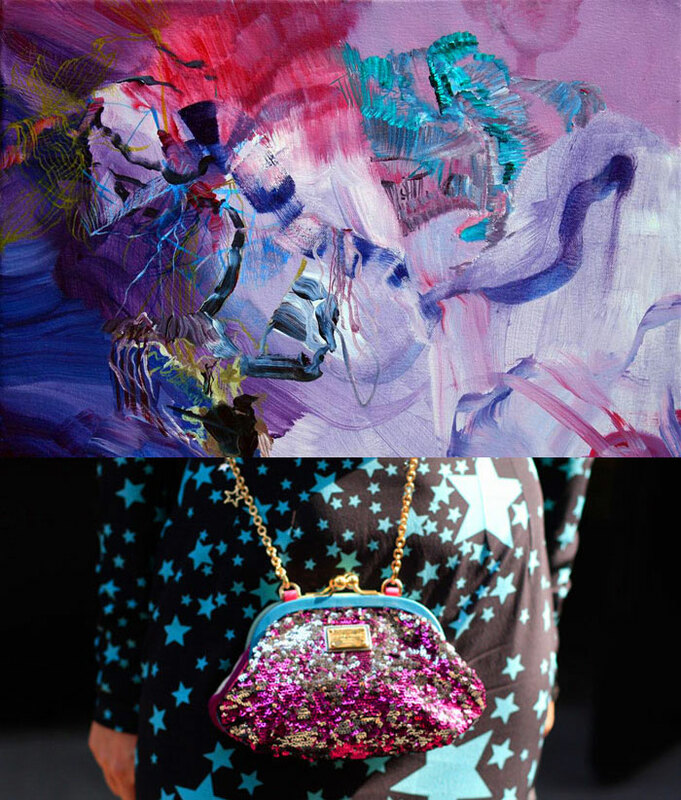 I love that you find opportunities to include art in your fashion posts. Almost thought you were the artist! Btw, have you heard? Sass & Bide launched eyewear earlier this month! .. Beautiful skirt, but I doubt you'll ever sit comfortably. I am in love with this post. Your art work is great. Brilliant! 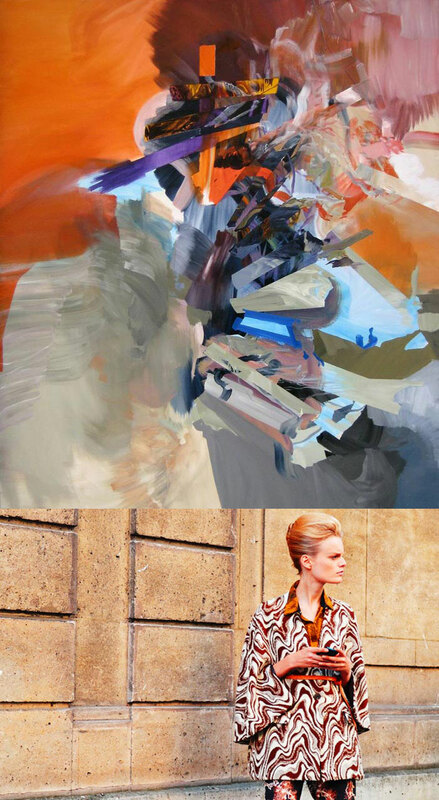 art and fashion together! I love the way you matched up the images with artwork! And the bejeweled gold skirt is amazing! this is incredible, really good post!! wow. love the ethnic detail and color in all of these. Very nice idea to let the art meet the fashion. I love the jeweled skirt!!! love this post! the gold skirt is gorgeous/amazing! Those paintings are amazing, I'll have to check out this artist. Pretty rad pairings, too!! This post it's soooo inspiring! 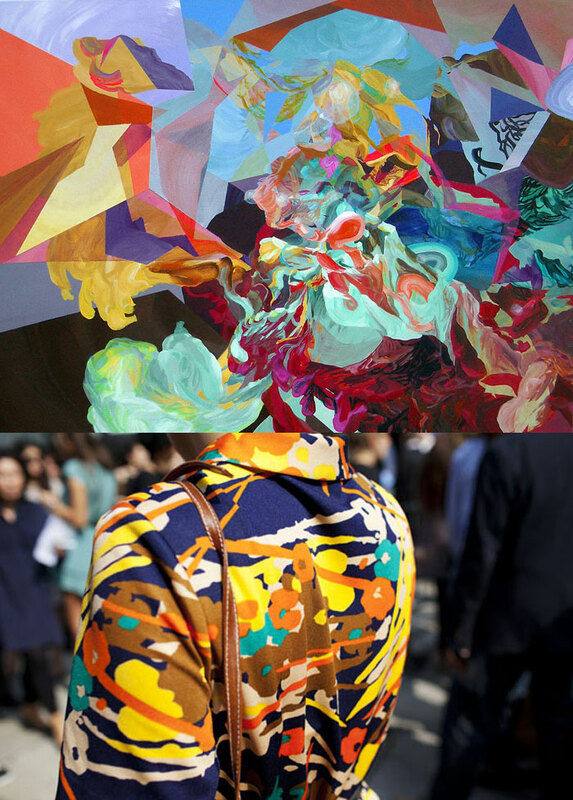 i love how you mixed prints and Abstracts! oof. this is why I love your blog. This post makes me want a bejeweled blazer, as kitsch as it may look! Love this post! Very inspirational. That skirt is glitterbomb tastic! 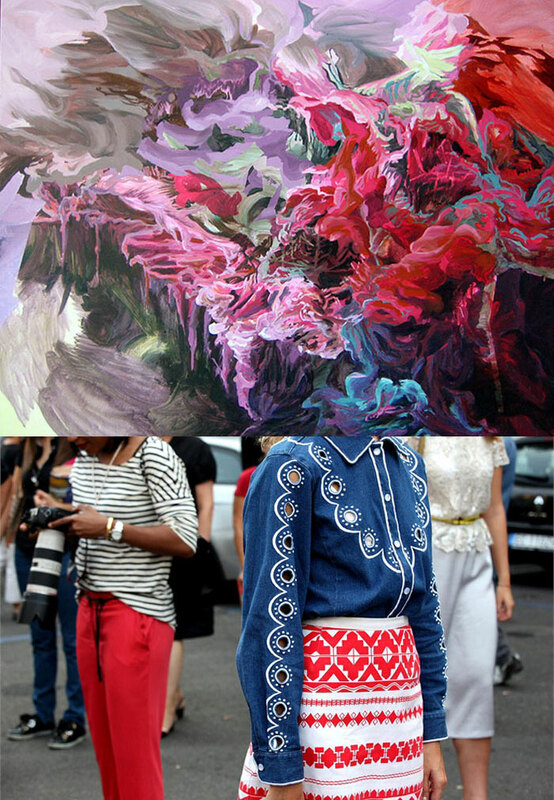 What a pretty/nice post of textures and fabrics and art. i'm so inspired right now!!! Wanna see how Versace for HM is gonna look? love all og the pictures :-)! loving the prints. sometimes you just get bored with all that minimalism .. 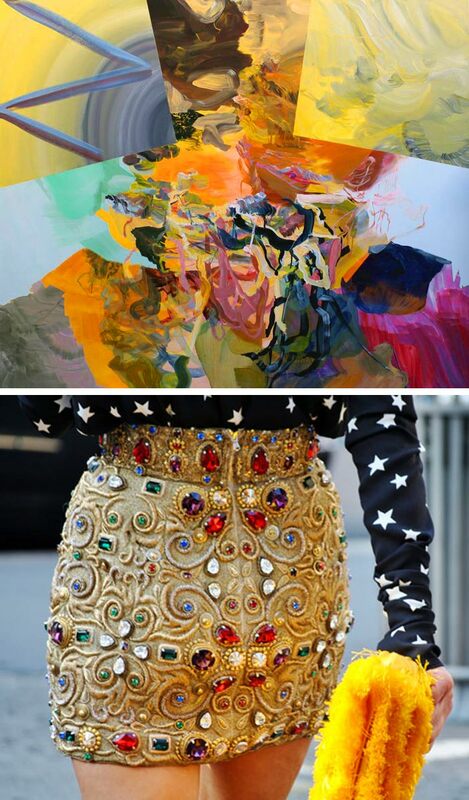 I absolutely love, love, love the mixture of art and fashion! It mixes so well together that you almost can't tell which one is which! So colorful and bright. A lovely inspiration photo set!! I love this so much!!! Great post!! wowsers. freaking AMAZING prints. good job to everyone involved.